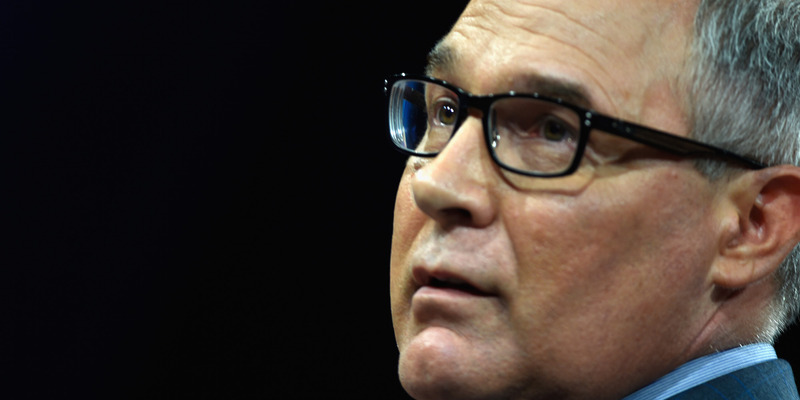 Riccardo Savi/Getty Images for Concordia SummitScott Pruitt. Scott Pruitt, the Environmental Protection Agency administrator, ate at the White House mess hall so often that the entire Cabinet was told not to treat it “as their personal dining hall,” Politico reported. Politico obtained a billing statement from July showing that Pruitt ate at the mess at least nine times that month and racked up a $US400 bill – which the outlet noted is relatively cheap by Washington, DC, standards. Pruitt has been at the center of several scandals during his tenure as EPA administrator and has been accused of exploiting his position for personal benefit. Scott Pruitt, the Environmental Protection Agency administrator, ate at the White House mess hall so often that the entire Cabinet was told not to treat it “as their personal dining hall,”Politico reported Wednesday. The White House mess is a Navy-run restaurant open only to White House officials, Cabinet members, and other dignitaries. Pruitt apparently dined there so frequently that the Cabinet affairs team told agency chiefs of staff during a meeting last year that Cabinet members should consider eating elsewhere sometimes. Politico obtained a billing statement from July showing that Pruitt ate at the White House mess at least nine times that month, racking up a $US400 bill. The outlet noted that this is relatively cheap compared with prices at high-end restaurants around Washington, DC, and that the food there is top quality. Additional documents showed that Pruitt at times attempted to bring friends from Oklahoma to the White House mess. Pruitt has been at the center of several scandals during his tenure as EPA administrator and has been accused of exploiting his position for personal benefit, including allegations that he enlisted government staffers to help his wife get a job managing a franchise of the fast-food chain Chick-fil-A. Meanwhile, two of Pruitt’s closest aides resigned this week. The Atlantic reported that both had received significant pay raises through a legal loophole after the White House refused to sign off on them.